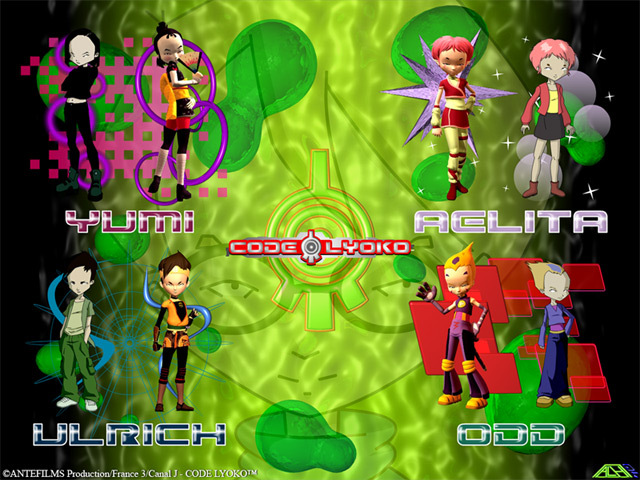 I am not trying to promote or support all values of the Code Lyoko series. Though the Code Lyoko series is designed to promote moral and slightly educational values, please be aware that not all values are positive (an example would be pride), thus concluding the idea of it’s sole purpose: to entertain. Please read and rely on the Bible, the inspired word of the only true living God, to fully understand differences between right and wrong. Also check out www.roysecitycoc.org. Thanks. I developed this theme because I caught interest in Code Lyoko, but also because I don’t like one-sided wallpapers nor the poor selection of icons or screen savers I found elsewhere. But this will take care of that! I know some people don’t like Code Lyoko, but that’s probably because they can’t stand it being the second highest rated show in its target age range of 6-12 year olds. Though I’m sure everyone could care less about what age you are, you can never be too old for animated entertainment. Besides, it’s better than some of the other weird and stupid stuff I’ve seen. The large foreheads don’t bother me, I think it’s a neat trademark characteristic that makes it unique and apart from the traditional stuff (Not that I know much at all about anime). However, what really makes it unique is the 2D and 3D blend! Anyway, I’ve included “Readme” files for each category of the theme. 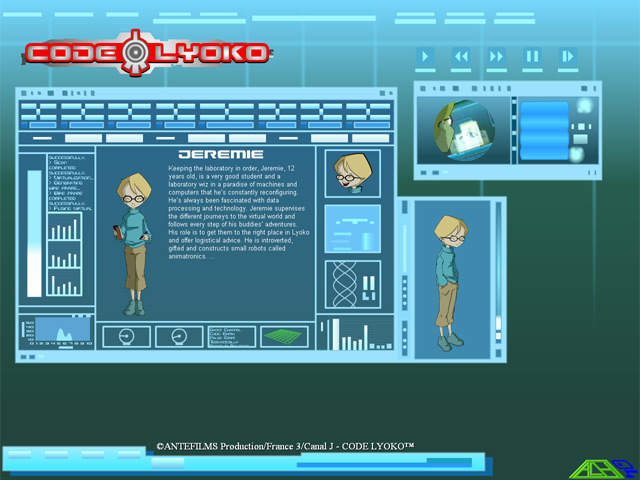 The Code Lyoko theme files I provided in the full download will only set your cursors, icons, wallpaper, and screen saver, however, to install the logon and boot screens, read their Readme files (unless you already know how to install them), but don’t stop there! You have a choice from several different cursors and icons you can use for different things, so don’t forget to read the Readmes to see what all you can do! Below are previews, specifications, and separate downloads for each category of the theme. The full download comes with everything. - Supported operating system: Windows XP Home or Professional (or perhaps Windows Server 2003 as well). - 7 boot screens included. - Supported resolution: 32x32 pixels at 32-bits. - Supported resolutions for standard icons included: 72x72 pixels at 32-bits and 8-bits, 48x48 pixels at 32-bits and 8-bits, 32x32 pixels at 32-bits and 8-bits, 24x24 pixels at 32-bits and 8-bits, and 16x16 pixels at 32-bits and 8-bits. - Supported resolutions for XANA icons except “XANA Supercomputer.ico”: 72x72 pixels at 32-bits, 48x48 pixels at 32-bits, 32x32 pixels at 32-bits, 24x24 pixels at 32-bits, and 16x16 pixels at 32-bits. - Supported resolutions for sample icon “Icon.ico”: 72x72 pixels at 32-bits, 48x48 pixels at 32-bits and 1-bit, 32x32 pixels at 32-bits and 1-bit, and 16x16 pixels at 32-bits and 1-bit. - Supported operating system: Windows XP Home/Professional with Service Pack 1. - Supported screen resolution: 1024x768 and higher. - Available with or without music. - Note: The screen saver may not function properly under some circumstances, such as later Windows XP updates among other things. - Supported screen resolutions: 800x600, 1024x768, and 1280x1024.